It has been a while since Jeffry and I had a real vacation - we have been working lots of hours lately. 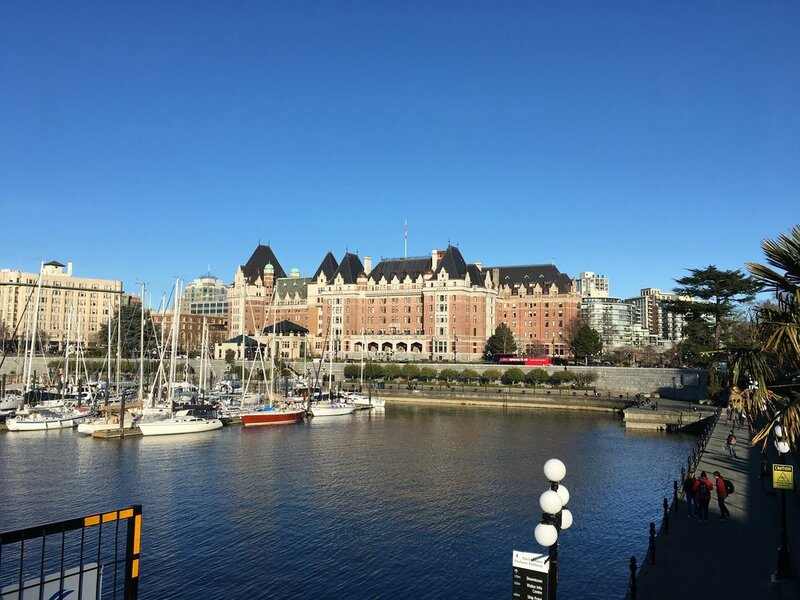 We realized that it was time for us to take a breather and decided to go to Victoria, B.C. for five days. It's been years since we went there last and we did a triple celebration for both our March birthdays and our upcoming 10 year anniversary together. Technically our anniversary will be in May, but we know that our schedules won't permit us to get away then. Harbour Air Seaplanes from Vancouver to Victoria. 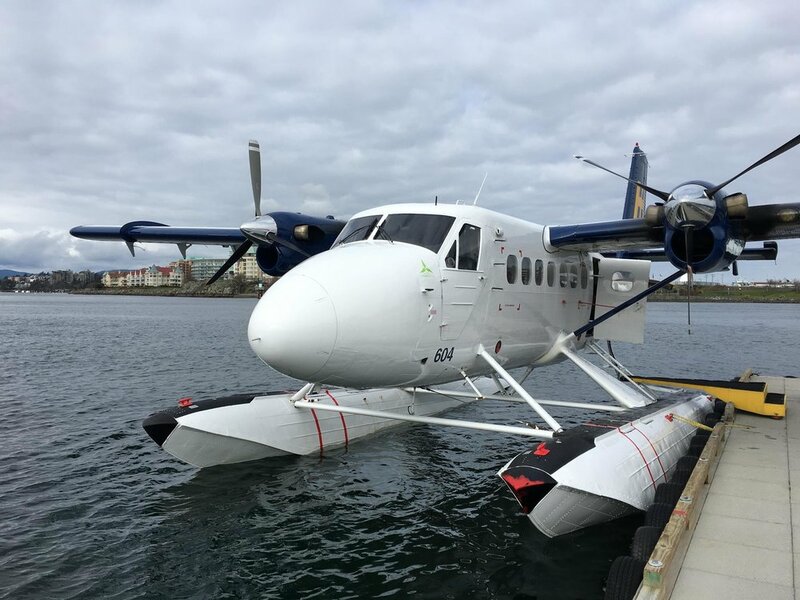 We decided to try a seaplane flight to Victoria from Vancouver. It was our first time doing it and one of my bucket list items. We flew with Harbour Air Seaplane. It was a quick and easy trip; only a 30 minutes flight. Initially, we imagined it might feel like being on a speedboat since it's on water - nope! It was a lot smoother than we expected, with a really easy landing. If given the opportunity, I highly recommend you to do so during nice weather so you can enjoy the amazing view from a flight so low to the ground compared to a jet engine plane. 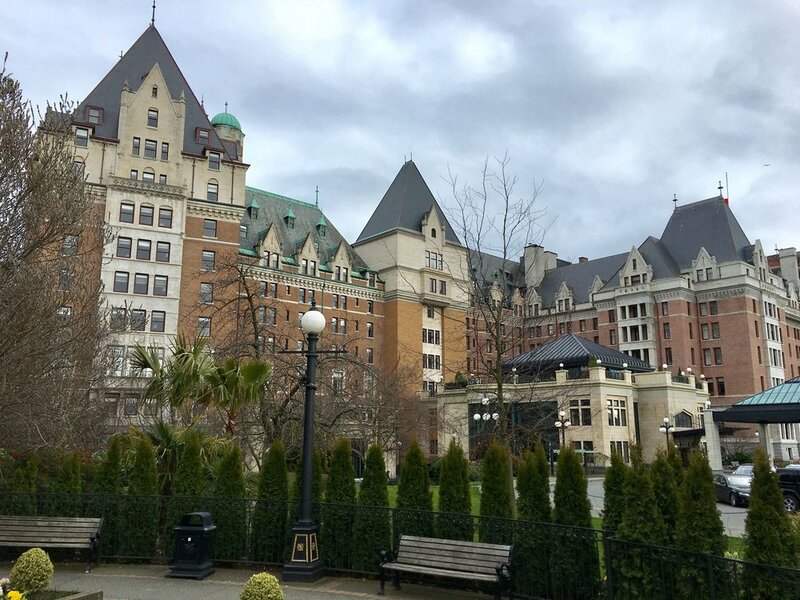 We checked in one of our favorite hotels, The Fairmont Empress which is an iconic hotel in downtown Victoria. We had a really wonderful experience with this hotel since they always provide excellent guest service. Another reason why I love this hotel is the architecture of this hotel, especially the interior blending both Victorian and Georgian elements, which is something we don't see much of it on the west coast. Recently, they went though a major renovation to upgrade the look. It looks really fresh and they managed to keep the character while modernizing to make it look like modern Victorian. I only wish they would have kept the ivy exterior, as it lent such charm to the exterior; though I understand the maintenance and upkeep reasons why they removed it. We went walking around beautiful downtown Victoria. We love Victoria for the beautiful and historic buildings with lots of little hidden gems and alleys. Most are in good to great condition with colorful storefonts and historical charm. 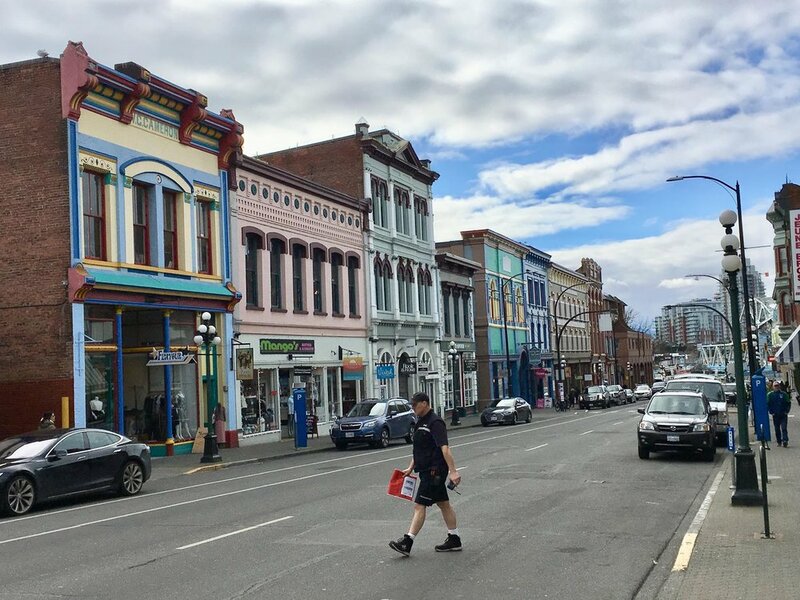 The Chinatown section of downtown has especially improved in the care to the buildings and area and we noticed the addition of a lot of new stores and restaurants to the area. While some are of the chain variety, it's encouraging to see that most of the businesses in the historical core are still independent. 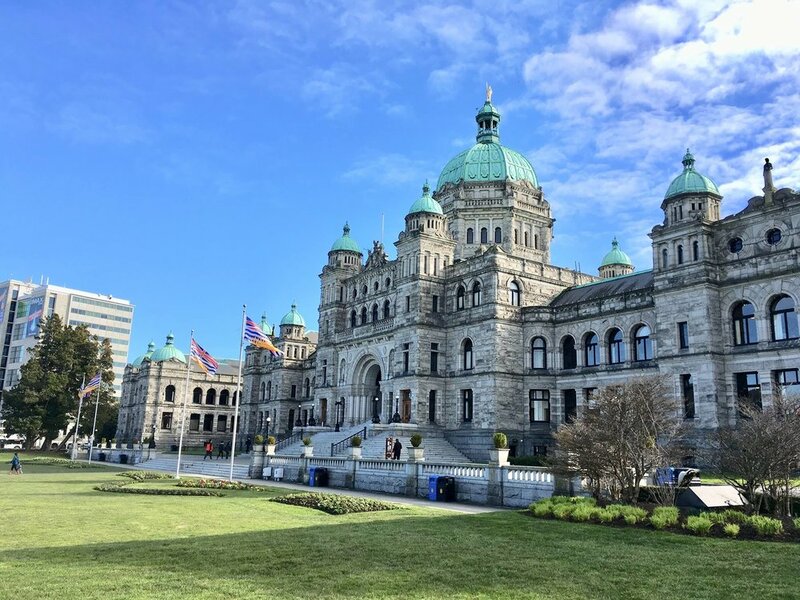 Victoria is the capital of British Columbia and every time we've visited in the past, the beautiful British Columbia Parliament Building had been closed to the public. This time they were open. Yay! It was so gorgeous building to tour around and learned some tidbits of info about the Canadian and BC government we were unaware of. We also popped into the public gallery to watch the legislature in action during a Ministery of Transportation Commitee meeting and debate. Of course, we went to one of most famous gardens in the world, Butchart Gardens. Sadly, we were there just before the blooming season so there were only a few spot blooms providing little pops of colour to enjoy. It was fine with us because it's still a gorgeous landscape and being the off-season, there weren't the hordes of tourists which can detract from enjoying the simple splendour and serenity of the place. I think there were only 20 people in the entire grounds while we were there. Perfect! 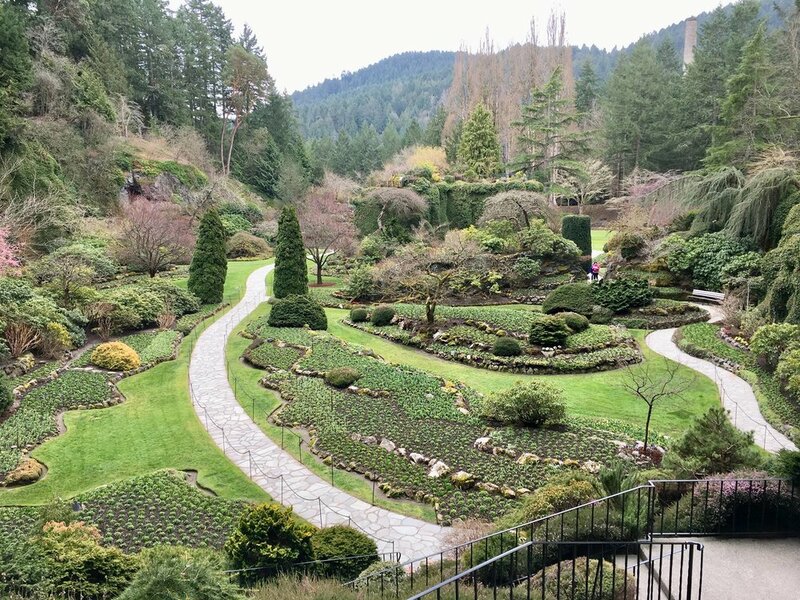 I highly recommend you to check this beautiful garden out when you go to Victoria. Another item to check off my bucket list was experiencing a proper afternoon high tea. 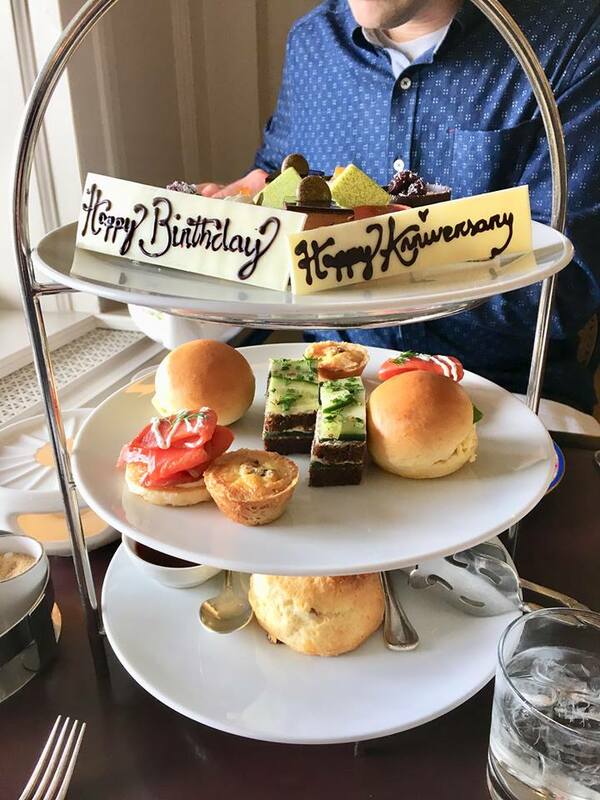 The Empress is known especially for their high tea and it didn't disappoint. We received the traditional tiered stand with personal notes to say "Happy Birthday" and "Happy Anniversary" from our sweet and thoughtful server Marlene...who we learned later has been working at the hotel nearly 50 years!!! The tea and food were amazingly delicious, especially the signature scones and their homemade strawberry lavender jam! If they had been selling it I would have scooped it right up! We will definitely come back again next time we are in town. 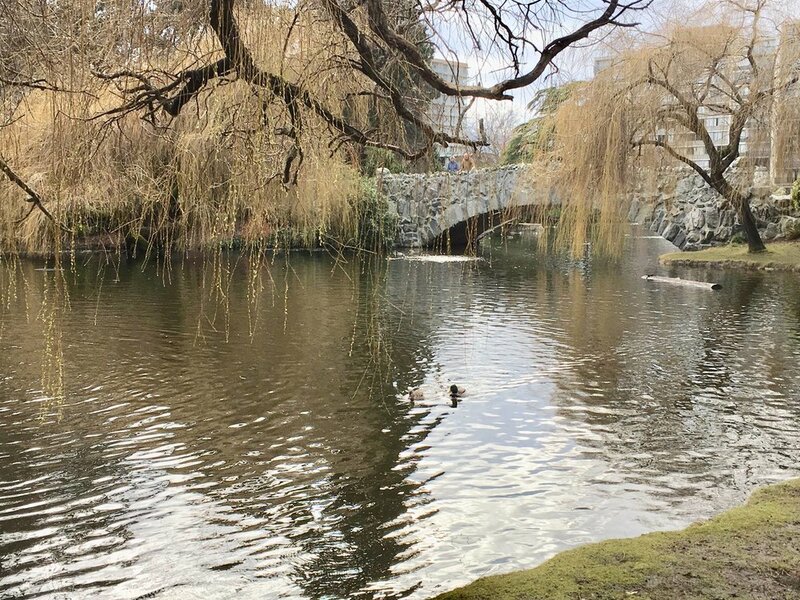 While we were in town, several people recommended we check out Beacon Hill Park. We went walking around the park - we were blown away by how beautiful this park really is, reminding us a bit of New York City's Central Park. We enjoyed walking around and watching the ducks and peacocks that stroll around the park. Let me tell you, this place is a duck metropolis; I have never seen so many ducks in one place in my life before. Sadly, our five days vacation in Victoria ended so quick. We flew back to Vancouver via seaplane. Good thing we rode it during the beautiful day which allowed us to get to see more what is down there. 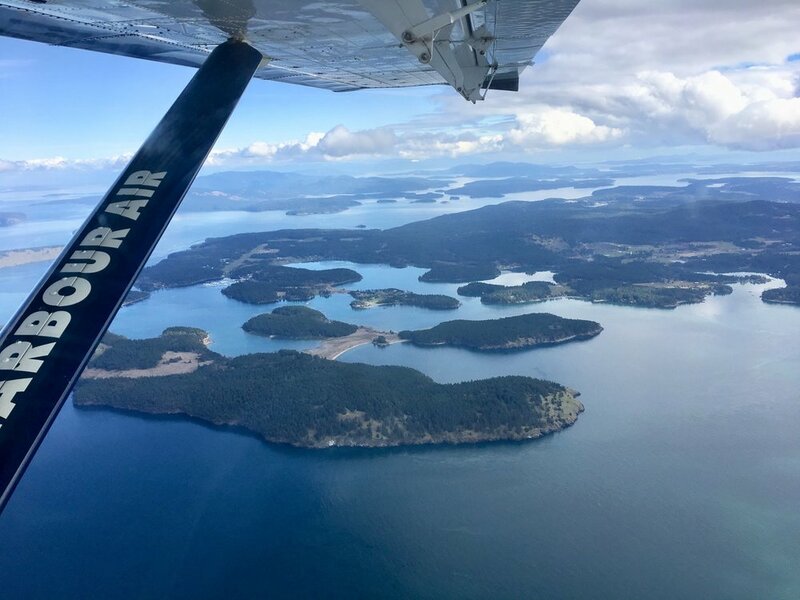 We enjoyed the sightseeing of beautiful islands between Vancouver Island to the mainland. That reminds us why we love Pacific Northwest region. Fantastic vacation...but now back to reality.